Welcoming a little soul into our lives is the most precious and cherishing moment in every couple’s lives. But, along with a bundle of joy, there come many responsibilities too. To raise a child in a healthy and happy way is not a simple task. One of those biggest tasks in every parent’s life is making their child eat happily. But, most of us don’t know the Best first foods for babies which can give them complete nutrition for all round development. So, know the best foods for your baby from birth to one year and feed your baby with the best food which supports their growth. From the day the baby is born, it is truly a tough period for any mother. Though you are immensely happy with the arrival of your little bundle of joy, all your thoughts revolve around hat are the best things to give to your baby. Starting from food, clothing everything should make them feel comfortable as they can not express their dislike. So, this is a crucial period for moms to understand what your baby needs and what suits him. What are the best first foods for babies? It will be the first question that arises in every new mother. The first food for babies is Mother’s breast milk. Your baby needs your breastmilk to build a strong immune system. In the first few months, they can acquire all kinds of nutrients from the milk itself. So, Prefer breastfeeding than formulated milk as the doctor’s recommend this as the safest food for infants. Best first foods for babies or infants is Mother’s milk which can’t be replaced by any other food in the whole world. So, give breast milk as first food for baby without fail. Breastfeeding reduces the chances of acquiring infections easily. Formulated milk possess one taste, but through breastfeeding, you can introduce many tastes to your child. It is because of the reason the breastfeed will typically acquire the taste of the food that mother eats. So, in future, it will be easy for you to introduce solid food. In the case of lack of breast milk, there will be an option of formulated milk. So, the infant formula milk provides enough nutrients for the young infants. So, these infants do not require vitamin D from an external source as the supplement formula itself is a pack of all the vitamins. Yes, your baby’s mouth is ready for the appearance of chompers. So, you can start feeding them with solids. If not the chompers, you can know their readiness for solid foods if the following changes appear in them. Your baby can hold the head up. They can start to sit in the chair. Whenever they start moving their tongue to and fro when you feed them, it shows their readiness. The Weight of the baby significantly increases. Make a puree of vegetables like potatoes, sweet potatoes, carrot, and squash. You can also give them a puree of Apples, Bananas, peaches. Semi-solids like iron-fortified cereal made of millets and pulses. It is the best first baby food you can give in the 4th month. Besides these foods, you should continue breastfeeding or formula based milk. Consult your pediatrician for more diet recommendations. Yes, now the time has arrived.. you can feed your fast growing bud with nutrient-rich solids now. But, be careful when you are feeding them with solids. Their digestive tract is still in building process. So, Give them both solids, liquids simultaneously to balance the digestion process. Continue Milk as long as you and your baby are comfortable with it. Also, do not stop vitamin D supplements of the quantity 10μg. Add the foods that are rich in iron content. Feed them with Lean Meats such as beef, lamb, poultry and fish. You can cook beans, lentils, and other legumes and give them including the water used in cooking. It is the best first foods for babies which builds their muscle. The first and most important food that you should include are the Iron-fortified infant cereal. First, just give one or two meals of these solids as your child may dislike having it in all meals. So, start with a minimum number and gradually increase quantity and meal number so that your child becomes familiar to the solids. When you start giving them solid food, you can add more nutrients by adding two or three vegetables in it. Let your child involve his hands while you feed them so that you can train them to eat easily. Give the small pieces of cooked vegetables, banana, bread crusts, and toast to their hand, so they learn to eat. You can start giving them a small quantity of Paneer (cottage cheese) or soft pasteurized cheese. Make them eat mashed fruits like banana, peach, pears, and avocados. Boil the Vegetables like carrots, squash, potatoes, sweet potatoes and mash them to make it more comfortable to eat by your toddler. Continue giving them the protein rich food like meat, poultry, boneless fish, tofu. Keep giving those veggie lentils, split peas, pintos, black beans, etc. Cook some finger foods like cooked potato, scrambled eggs, O-shape cereal. These are some best first foods for baby. Prepare finger millet and barley porridge with a piece of jaggery in it if they love sweets. By this time your baby may have few teeth within. So, they can eat the solids with much ease. They will know the taste of the food they love to eat. So, prefer giving the food they love the most by adding nutrient rich toppings by disguising them. But, each and every baby is not same. So, you should check for the following qualities in your child to know whether your child is ready for the solid foods or not. 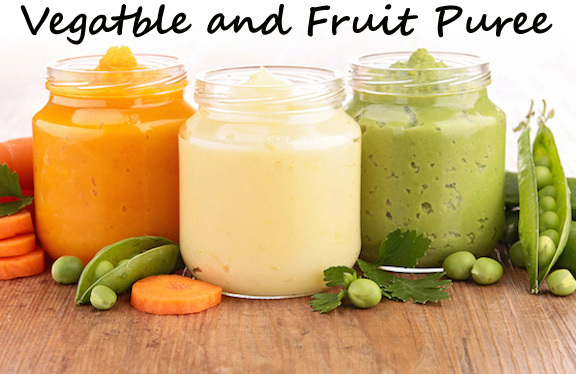 The best first baby food in the age of 11-12 months is giving fruits and vegetables in cubes to their hand. Notice whether your baby feels it difficult to swallow or not. If they can swallow the food, easily you can proceed to the next level in feeding them. If the number of teeth increases, it is a sign that they can chew the food with much ease. When your baby stops pushing the food out with the tongue, they are ready to eat. If your child shows interest while eating then, you can give more solids. So, if the above signs appear in your child then give them the following foods. Strips or cubes of fruits. Cooked veggies like peas, carrots, sweet potatoes. Let them eat the combination foods like macaroni along with cheese, casseroles. As the protein-rich food is difficult to digest, give them small bites of meat, poultry, boneless fish. Yogurt is one best food to give to the infants. So, give them flavored yogurt. Don’t miss to feed them with Iron-fortified cereals. Every mother tries to give their best, but in that excitement do not forget your child is still too young to experiment. So, If you notice any irritation with foods, try not to give the same next time. Do not worry if the baby eats a bit more or less. Because every child is different in their way. So, these are the Best first foods for babies under one year. You can feed them according to their age. But, consult your pediatrician before introducing any new food. Next articleHow to Reduce White Hair Naturally?